A California child contracted the plague recently after a camping trip to Stanislaus National Forest and Yosemite National Park. Health officials have been working to determine where exactly the child contracted the potentially fatal disease, but it might not be possible. The child, whose name and age was not released, was said to be recovering in a hospital, according to the OC Register. Though fatal to millions of people in Europe during the Middle Ages, today the plague can be treated with antibiotics if caught earlier enough. Some people do still die. This most recent case comes on the heels of a Colorado man who recently died from the plague. 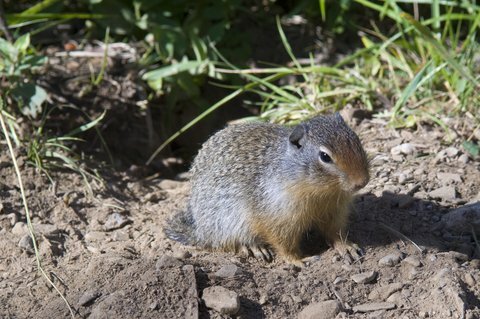 The disease is common among ground squirrels and other rodents throughout the California wilderness, making it even more important that small game hunters are aware of the dangers. Normally it’s transmitted through fleas that travel from infected rodents or other animals and bites humans. A squirrel infected by the plague will probably die within a few days, but hunters attempting to harvest small game in California should be aware. To completely avoid risk, officials advise not handling any dead rodents. Before this most recent case, plague has not been contracted by a person within the state for roughly 10 years. Since 1970, there have been 42 cases of the plague in California with nine of them fatal, according to WIVB. next articleWas Bigfoot Caught on Camera in North Carolina?